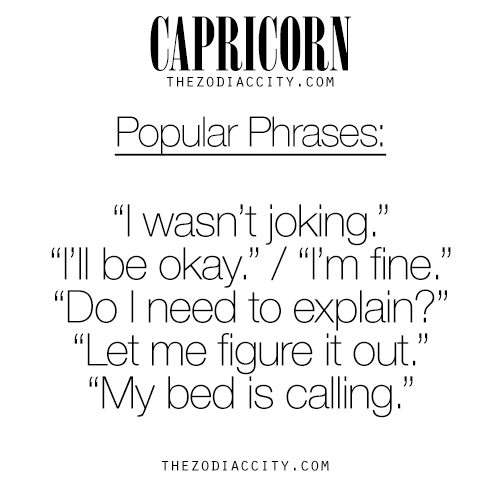 Capricorn Popular Phrases: | Capricorn Life - Capricorns Rock! "Do I need to explain?" "Let me figure it out."